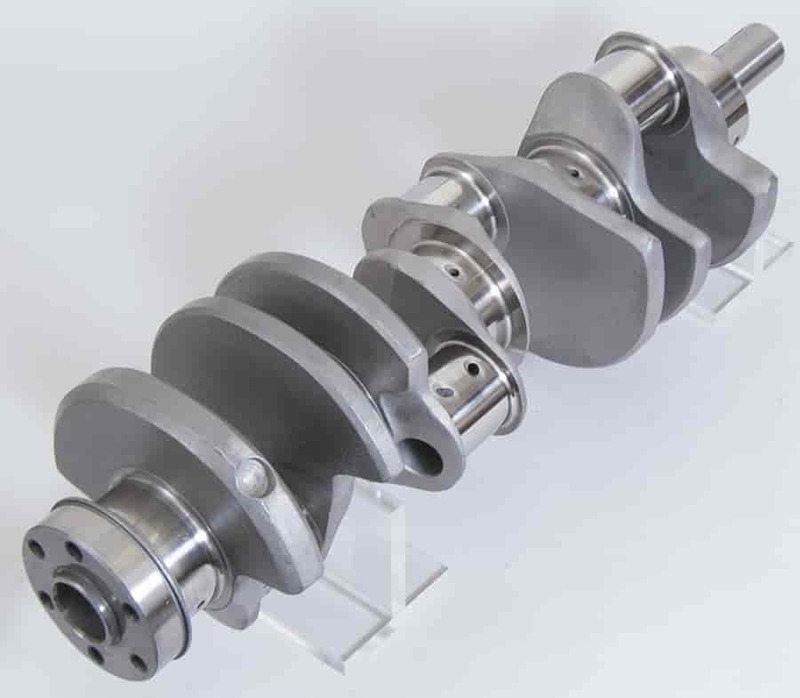 Eagle ESP Forged 4340 Steel Crankshafts feature exceptional strength and unsurpassed quality at a reasonable price making them a perfect choice for high-performance applications. These cranks start as forged 4340 steel non-twist forgings that undergo a multi-stage heat treat process. Eagle machinists then x-ray, magnaflux and sonic tests each crank to ensure it is free of cracks, air pockets and any imperfections that could occur during the forging process. Afterward, each crankshaft is stress relieved and shot peened for durability and longevity. During the machining process, the crank is indexed for correct stroke and all rod and main journals receive a .125 in. radius in the corners for increased strength. The journals are nitrated then precision ground and micro-polished to an R.A. of less than 3. All of the oiling holes are cross drilled and chamfered for improved oiling to the rods and mains. Counterweights are designed for easy balancing and do not require any machining for block clearance. Each ESP crankshaft is inspected for dimension, size and stroke accuracy so you know it is capable of going from the box to your block without worries. Eagle also guarantees a target bobweight +/-2% that reduces balancing time!